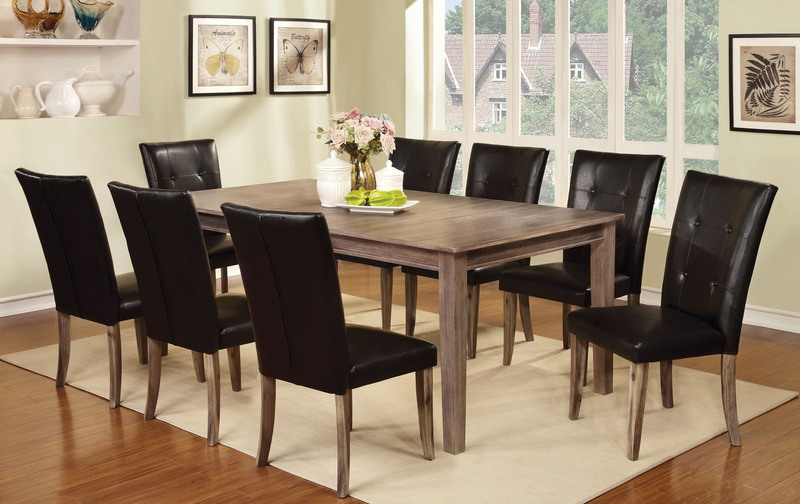 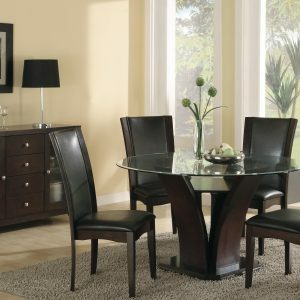 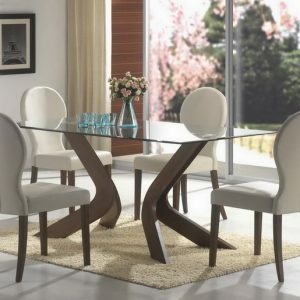 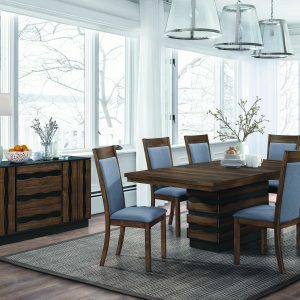 Refreshingly simple, this table with a natural wood grain surface offers a unique look for transitional homes when paired with Parson leatherette chairs. The chair legs share the same wire brushed oak finish as the table. 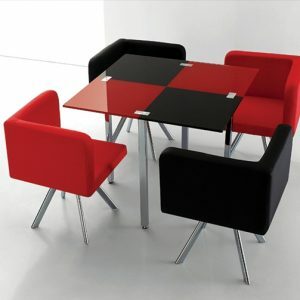 Available in counter height.